In 2006 Jamie Tworkowski wrote a story called â€œTo Write Love on Her Arms,â€ about helping a friend through her struggle with drug addiction, depression, and self-injury. The piece was so hauntingly beautiful that it quickly went viral, giving birth to a non-profit organization of the same name. Now, To Write Love on Her Arms (TWLOHA) is an internationally recognized leader in suicide prevention andÂ a source of hope, encouragement, and support for people worldwide. If You Feel Too Much is a celebration of hope, wonder, and what it means to be human. From personal stories of struggling on days most people celebrate to words of strength and encouragement in moments of loss, the essays in this book invite readers to believe that itâ€™s okay to admit to pain and okay to ask for help. 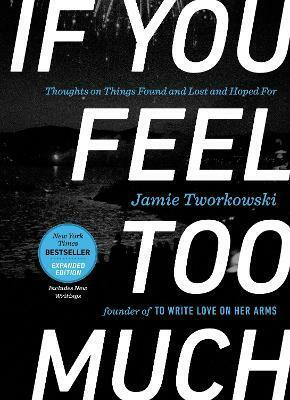 If You Feel Too Much is an important book from one of this generationâ€™s most important voices.